Flood Claims Archives - Advise & Consult, Inc.Advise & Consult, Inc. Flood insurance claims governed by the National Flood Insurance Program are different. The requirements to get paid are strict and must be complied with. Many inexperienced attorneys and public adjusters prepare these claims improperly and the result is that policyholders do not get paid or paid as much as they otherwise deserve. Federal proofs of loss have to be completed fully, properly, and on time. What is Enough to Satisfy the Standard Flood Insurance Policy’s “Proof of Loss” Requirement? National Flood Proof of Loss Deadline on Monday – Are You Sure the Proof is Right? Filing flood insurance claims differs from almost any other form of insurance. The law has been interpreted strictly against policyholders and exacting preciseness seems more important than the validity of the claim under current federal law. 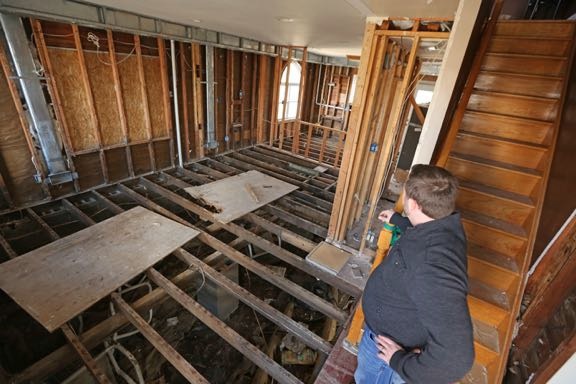 As the Midwest begins to dry out from massive flooding, insurance adjusters and contractors from across the country will be working to get covered insureds back to some semblance of normalcy. For those who have flood insurance, the claims process is just beginning, and they will likely have more questions than answers. Hurricane Sandy, Hurricane Katrina and other major flood events provided some important lessons for all involved in the adjusting and restoration process. 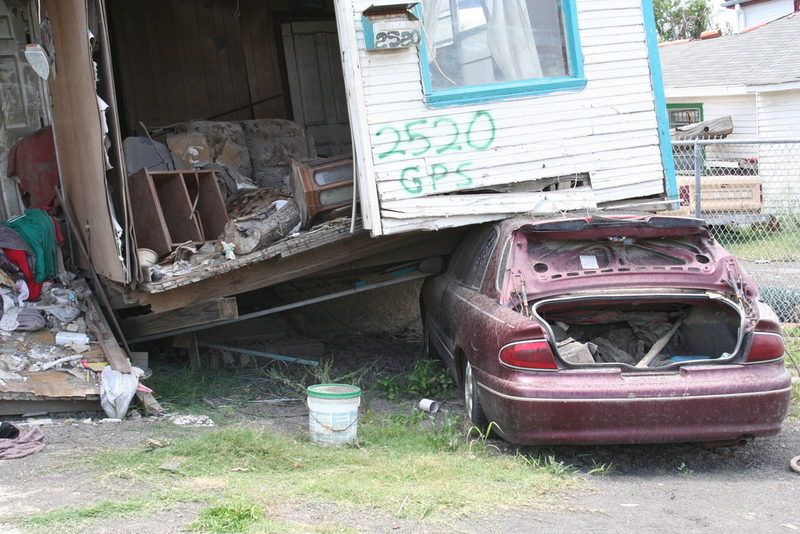 Documentation will be critical for both policyholders and adjusters. What does the policy cover? What damage was sustained? What can be replaced and what can be restored? For adjusters who do not have a lot of experience adjusting flood claims, Canopy Claims Management in New York City offers some recommendations to ensure that critical facets of the inspection aren’t missed and to help reduce the number of claims that may need to be reviewed or reopened at a later date. Canopy was involved in reviewing or mediating over 500 insurance claims after Hurricane Sandy and handled well over 1,000 of their own flood claims for insurers. Major recommends taking as many photographs as possible. “Years ago, adjusters were mindful of film developing costs, which are a non-factor now. Photographs should be taken of all sides of the risk and the surrounding area, as well as in every room. Each room should have general photos of the room, each showing at least two walls, and then from the other side of the room,” he says. It’s easy to overlook gas service, piping, valves and lines to individual appliances. 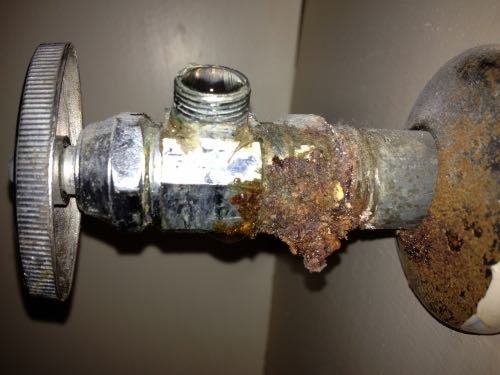 After Hurricane Sandy, rough lines and valves were exposed to salt water, which caused them to rust and deteriorate. Frequently, flexible gas lines were discarded with the appliance, so Major says it’s a good practice to identify the presence of gas service to a property and calculate the costs for payment to the insureds. 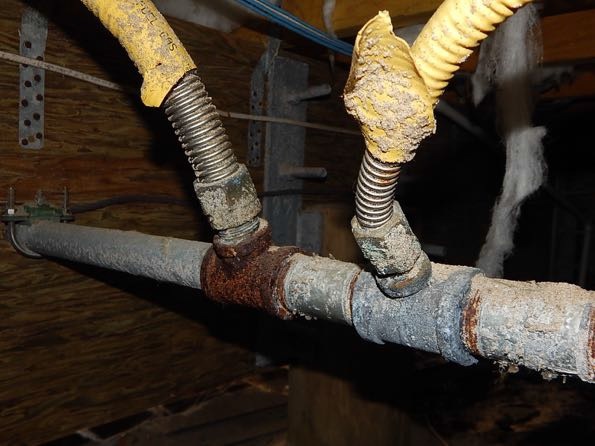 He recommends looking at the basement, mechanical room or kitchen scope items and identifying if any appliances are gas (i.e., boiler, water heater, range) and identifying the level of the floodwater. Compare this to the elevation of rough gas lines and service, and calculate either a square or linear foot allowance for payment. In addition, add a shut-off valve, escutcheon and flex connecting line to all gas-fed mechanicals and appliances being replaced on the property. Frequently, adjusters’ estimates may not include sales tax for taxable items. Don’t forget to clarify the rate for each state and the items that should be taxed as part of the estimate. Another expense that may be overlooked in an estimate involves overhead and profit (O&P). Where work has already been performed by a contractor directly with a homeowner, the contractor’s materials, labor, tax, and overhead and profit would be included in the invoice. Any work and related line items to be performed by a general contractor should include overhead and profit. 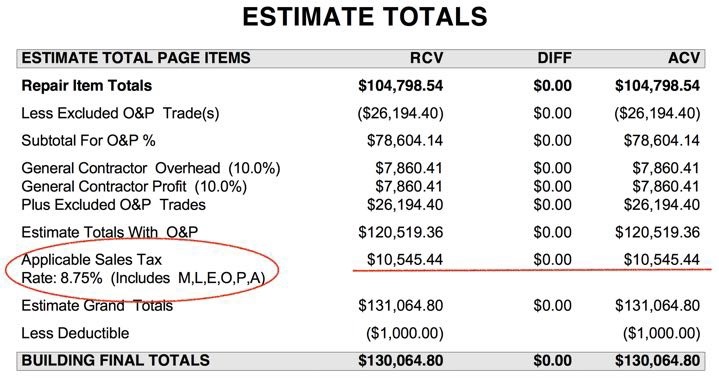 Canopy recommends that if documentation does not exist indicating that the items were excluded from the general contractor’s overhead and profit, then it should be calculated on those items accordingly. Items should be separated to those that exclude O&P and those that should include it. When figuring the cost, calculate the O&P plus tax on all items that should not be excluded in any payments to the insureds. Work performed and costs incurred before a GC was engaged are not included in O&P calculations. There are a number of factors that can impact the costs associated with the restoration, remediation and clean-up process. Work performed by non-profits or charities at no expense to the insured is usually not payable to the insured under the National Flood Insurance Program (NFIP). Work performed by the insured can be reimbursed at the federal minimum hourly wage for the replacement only of work covered by the NFIP. A third-party restoration contractor may also perform remediation and clean-up work that could be covered by the NFIP. 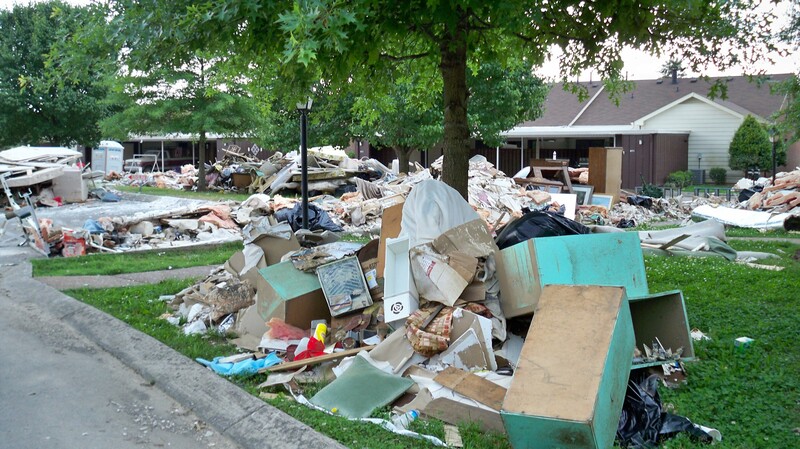 Some items may be excluded such as building components and contents in areas that are below the lowest elevated floor since FEMA only allows for the removal or clean-up of specific covered building items. Any questions about coverage issues can be addressed with FEMA. 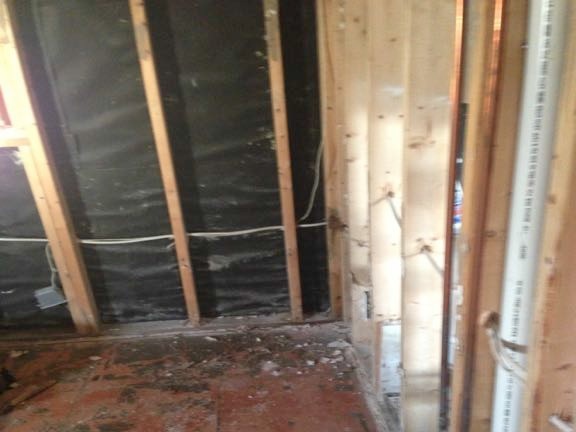 Following Hurricane Sandy, many estimates included the replacement of damaged subflooring, but the unit cost allowance does not include the added labor to remove and replace the subflooring under interior and exterior walls. Since insureds were not given allowances for the work, Major says it was usually not performed and the subflooring in these structures continued to degrade and compress. There were also many cases where floor sheathing estimates were incorrect, resulting in over and under payments. If the subfloor is measured from inside the exterior walls, adjust the square foot calculations to the outside, allowing for the square feet under the exterior walls. When the subflooring is listed in the individual rooms, no allowance is included for the subflooring under the interior or exteriors walls. Adjusters will have to identify the appropriate footprint measurements and calculate the correct square footage and costs inclusive of other costs associated. Frequently, undervalued allowances may result in replacement of subflooring in easily accessible areas, but overlook crucial areas under walls, mechanical and plumbing systems. If contractors cut the subflooring with a circular saw along the wall framing and abutting the new floor to the old floor without adding proper nailers and integrating the sheathing structurally, it will result in a less rigid framing system. Exterior sheathing is usually made of materials that are less susceptible to flooding and may extend down the side of a house beyond the subflooring to overlap the foundation wall. Frequently when adjusters determine that the subfloor is damaged, they do not allow for replacement of the exterior sheathing. While subflooring is easier to salvage or repair, exterior sheathing is accessible from the interior when drywall and insulation are removed, but cannot be accessed from the exterior side unless the siding and vapor barrier are removed. If siding, insulation, any old layers of siding and the vapor barriers are not removed, it will be difficult to effectively dry the newly saturated sheathing, eventually resulting in rot. Both sides of the sheathing need to be addressed. The interior sheathing may be cleaned and possibly an anti-microbial agent applied, but only pressure washing the exterior will not address the drying issues for the sheathing. Adjusters should be aware that the dehumidifier and fan allowances for FEMA’s maximum allowed equipment per room or square feet may not be sufficient to dry the exterior sheathing through the vapor barriers. Canopy recommends contacting FEMA about issues concerning a resolution for both the subflooring and exterior sheathing treatments. Other issues that will have to be addressed as part of the sheathing are vapor barriers, insulation, abandoned siding behind other layers of finished siding, lighting fixtures, shutters, house numbers, mailboxes, doors and windows to name a few. Pricing for the removal of building components depends on whether they are wet or dry. Most estimating platforms have specific line items for removing wet components and may even differentiate the categories of water. Canopy advocates that estimating best practices dictate that flood damage should always be estimated on a two-line basis for the removal and replacement of building components. Frequently, the damaged components are removed long before they are replaced. When two line items are used, who performed the removal and any incurred costs should be identified. Incurred costs should be calculated against the allowance and adjusted accordingly. If no costs were incurred and an allowance for removal is not warranted, then calculate the overpayment accordingly. When estimating damages for a toilet, there are a number of related items that need to be included as part of the scope. These include: the metal mounting flange, the stop (shut-off) valve, the supply line from the valve to the toilet, cleaning if the toilet is to be reinstalled, replacement or cleaning of the toilet seat, replacement or cleaning of the rough plumbing, and wrapping or protection of the toilet if it is to remain in a gutted house until its reinstallation. Stop valves, flanges and mounting bolts are metal and can be susceptible to rust when exposed to salt water. Estimating programs like Xactimate and Simsol have line items to address all of these items as part of the scope. Adjusters should make sure the scope reflects their intent if coverage applies for toilets and related items. There is a perception that the NFIP only allows two coats of paint or a combination of primer, sealer and paint. According to multiple sources, the NFIP has no such restriction in place, and the intention is to put an insured back to pre-loss condition subject to any deductibles and exclusions. 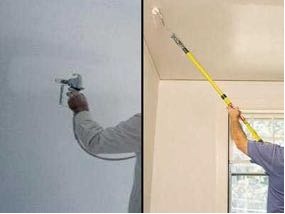 Best practices allow for a coat of primer for new drywall and joint compound, and two coats for green or purple board (water resistant) found in bathrooms, followed by two coats of paint. Any questions should be directed to FEMA for clarification. In addition, flood waters can uproot wildlife from their natural habits, posing a risk from snakes and other venomous creatures. There are also risks from mold, bacteria and other contaminants in flood waters. Major says that the second most important tool an adjuster can carry is a 3-M model #6297PA1-A mold and lead particle respirator. Frequent hand washing, particularly before eating, drinking or touching the face, will also help to contain the spread of bacterial contamination to an individual. 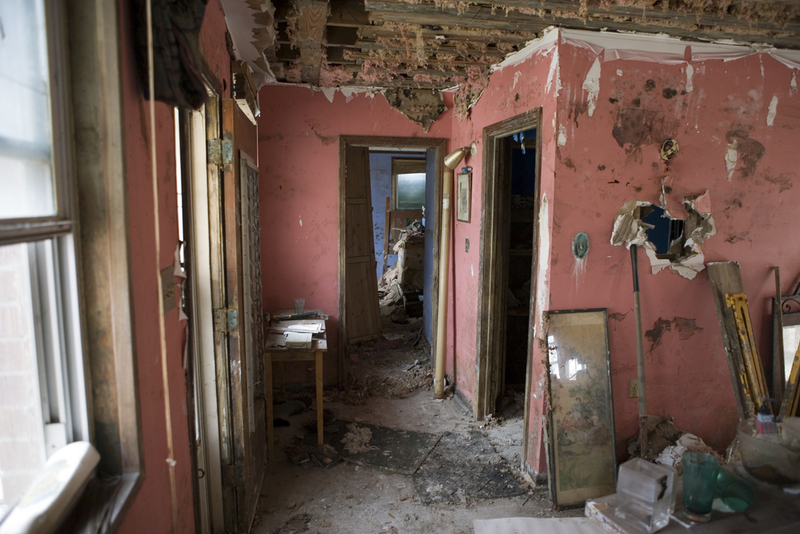 Adjusters should be aware of their surroundings when entering an area — looters and other factors could pose a risk to their personal safety. Individuals who have not worked a major catastrophe should know that a city’s infrastructure could be severely compromised by flooding, affecting everything from services like food, gasoline and hotels to washing away roads, signs and other identifying landmarks. [F]ollowing the adjuster’s inspection, Plaintiffs were told that their property was a seasonal residence because they did not live there at least 80% of the year. As a result, Plaintiffs were eligible for the actual cash value, rather than the higher replacement cost value of the repairs to their property. Plaintiffs disputed this conclusion via latter, and in response FEMA issued a denial letter on January 14, 2013. In filing their motion to dismiss, the defendant relied on the January 14, 2013 denial letter as the date starting the one-year limitations period, stating that the plaintiffs’ lawsuit, filed fifteen months later, was time barred. In opposition to Defendant’s motion, Plaintiffs also include an April 19, 2013 letter from FEMA to Plaintiffs, acknowledging receipt of Plaintiffs’ proof of loss and partially denying Plaintiffs’ asserted losses. The defendant argued that the January 14, 2013 letter “constituted a ‘notice of disallowance or partial disallowance.’” Countering that argument, plaintiffs’ argued that the statute of limitations would not run until one year after April 19, 2013, when their proof of loss was denied. This decision is fantastic news for policyholders still fighting with their Write Your Own (“WYO”) insurance carriers over Superstorm Sandy flood damage. At least at my office, this is cause for celebration. 1 Kroll v. Johnson, No. 14-2496, 2014 WL 4626009 (D.N.J. September 15, 2014). 2 Id. at 4. (emphasis added). See also 42 U.S.C. § 4072. 3 Id. at 4. (Internal citations omitted). 4 Qader v. FEMA, 543 F.Supp.2d 558 (E.D.La.2008). via Court Holds Statute of Limitations on Flood Claims is One Year From Date Proof of Loss is Denied : Property Insurance Coverage Law Blog.